Premium Clean Ltd - Cleaning Services based in Hemel Hempstead, Hertfordshire. Premium Clean Ltd. London is a family run cleaning company serving domestic and commercial customers across London. We have a small team of cleaners and carpet cleaners who are fully trained and insured. Our aim is to deliver the best cleaning and customer service at the best price. Our cleaning services are 100 % guaranteed! Premium Clean Ltd. was established in 2009 as a small cleaning business in London to both the private and business sectors. We have experienced a great demand for this particular type of cleaning services and managing to meet the needs of the rapidly growing customer base. The company has been enjoying excellent working relations with both customers and the cleaning subcontractors, whose services it employs. For your convenience our residential and commercial cleaners work seven days a week so you can pick the best day. We do not charge extra for the privilege to service your home or office on weekends and bank/public holidays – they are charged as normal week days. 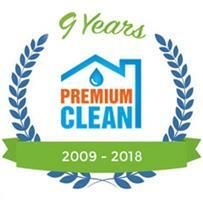 We at Premium Clean Ltd. believe that the cleaning services we provide must be of a 5 star quality and we work hard to deliver the results you deserve! Please feel free to read through our Blog, for great great tips and ideas and our top services!